This sequel to the successful animated feature The Incredibles (for some reason, this second film discards the definite article in the title) takes up at the moment the first movie ends. 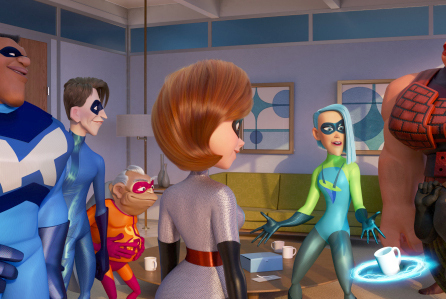 The failure of the super-hero family to capture the villainous Underminer (voice of John Ratzenberger) is the final straw for the authorities, who institute a ban on super-heroes. 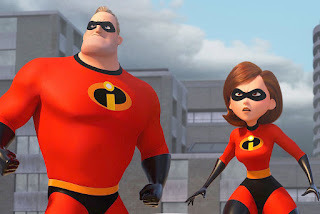 This is secretly challenged, however, by a billionaire brother and sister (Bob Odenkirk and Catherine Keener), who recruit Mr Incredible (Craig T Nelson) and Elastigirl (Holly Hunter) to revive super-heroes’ tarnished image and make them legal again. It’s rare that a sequel is as good as the original, but Incredibles 2 comes very close; the only reason it doesn’t match the first movie is that it isn’t as innovative as the first - because of its nature as a sequel. But the writing and direction are good, the acting very good and the artwork excellent. Even a little more than The Incredibles, the sequel’s central issue is one that youngsters wouldn’t easily understand. The first film dealt with identity, both in terms of a ‘secret’ identity and in terms of trying to find out who you are and remain true to it. This time, the issue is more complex - or, perhaps, simply less clear. The super-heroes are fighting not just evil masterminds but for the right to be who they are. This may be seen as a message, in view of the political climate in the United States, but I don’t like to read such things into movies. If a film doesn’t succeed on its own merits, making itself part of a greater argument won’t help. Taking the elements of the plot as no more than part of a movie - with no message - makes the film more enjoyable. 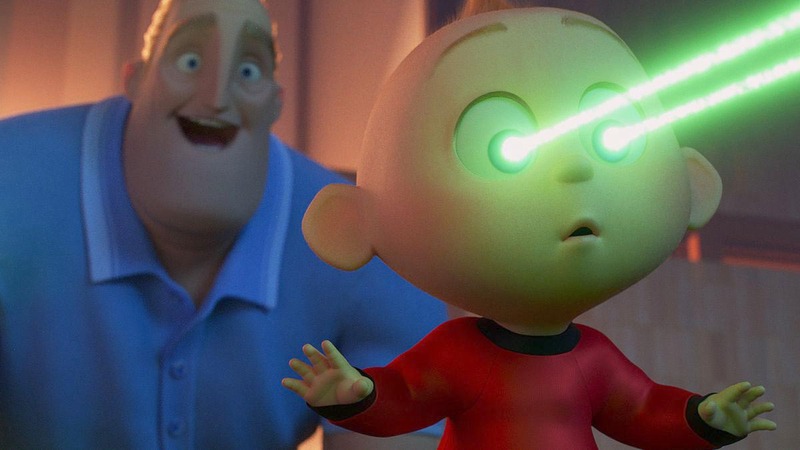 Baby Jack-Jack highlights the principal story-line when his own super-powers manifest themselves overtly; we saw a violent hint of his powers at the end of The Incredibles. He becomes a part of his family’s crime-fighting team, in a random, sometimes uncontrolled manner. The other children also have bigger parts to play, and here the writing becomes superior. 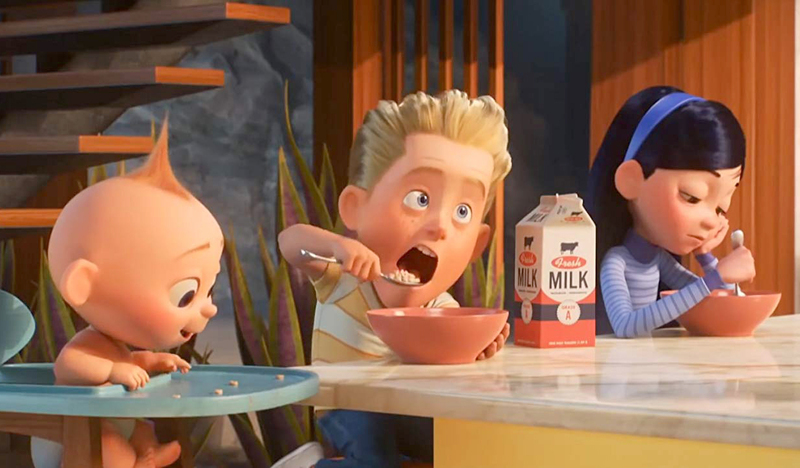 The personalities of Dash (Huck Milner) and Violet (Sarah Vowell) are more defined, and are representative of their ages. The boy wants to fight crime because it’s fun, while the girl wants to fight crime because it’s an adult thing to do. The characters of the super-heroes’ benefactors are also well conceived, and have issues of their own, stemming from the murders of their parents. 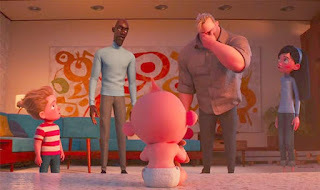 The brother and sister have different views of what and who are to blame for the tragedy, and this affects their relationships with other characters. Assisting the script’s treatment of the characters is the art-work. 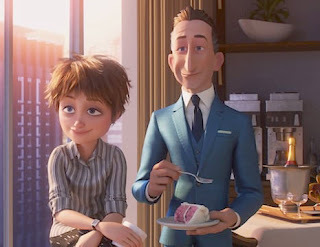 Though animation almost always treats its people as caricatures, to varying degrees, the caricatures in this case are highly realistic; the viewer can imagine meeting these people or perhaps has already met people who resemble them. The pairing of the images with the actors was very well done - though it’s fun to note that while Dash is voiced by a ten year old child, his adolescent sister is given a voice by a 49 year old woman. 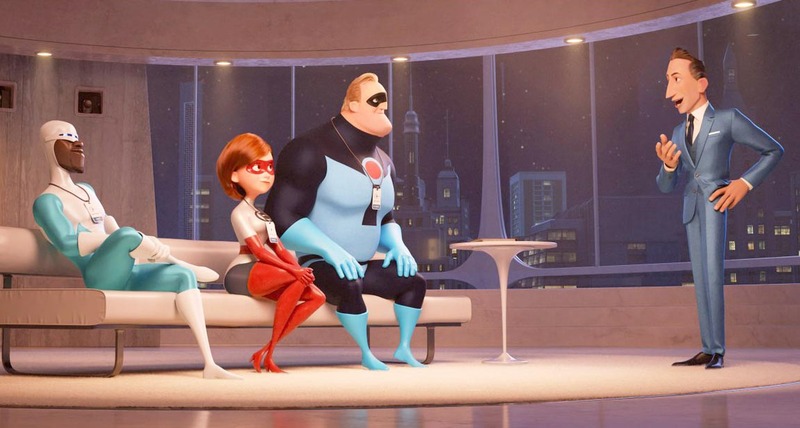 But what propels the movie is the animation, and Incredibles 2 cannot be faulted in that field. The exciting action is well handled not only by the illustrators but by the director. 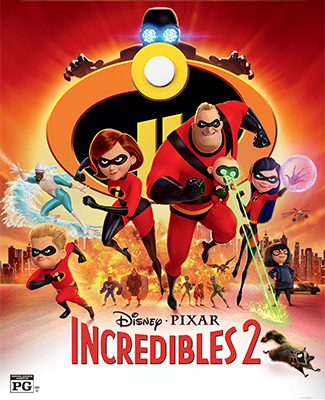 With a competent story and fine voice-work, the animation makes the film entertaining, and its two-hour running time fly by. I've only seen the first one, so will wait until this comes out on the tele to watch, but you make it sound like it is worth the time.